What is GPRS? The elaboration form of GPRS is “General Pocket Radio Service“. GPRS is a great service of mobile communication technology. We cannot think of internet connection without GPRS. Now I shall try to discus with you about GPRS in brief. The elaboration form of GPRS is “General Pocket Radio Service“. GPRS is a great service of mobile communication technology. We cannot think of internet connection without GPRS. Now I shall try to discus with you about GPRS in brief. GPRS which means General Packet Radio Services. 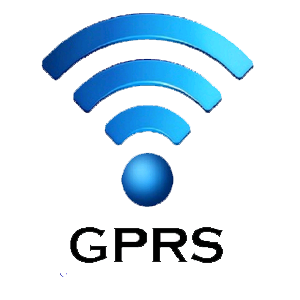 GPRS is a packet-based wireless communication service which promises data rates from 56 up to 114 Kbps and continuous network connection to the Internet for mobile phone and computer users. The higher data rates can provide users to take part in video conferences and interact with multimedia Web sites and similar applications using mobile handheld devices as well as notebook computers at the same time. GPRS is generally dependent on Global System for Mobile communication. It is also easy to make applications available to mobile users because of the faster data rate that means that middle ware currently needed to adapt applications to the slower speed of wireless systems. Actually they are no longer be needed at all. Since GPRS has become more widely available, along with other 2.5G and 3G services, mobile users of virtual private networks have been able to access the private network continuously over wireless rather than through a rooted dial-up connection with the help of GPRS at all. There are several Uses of GPRS. Different kind of people uses it in a different way in fact. GPRS can also be used as a modem. It will enable users to get instant internet access at all. With the help of this kind of technology one can easily connect a network instantly. Almost All kinds of Cell phone have GPRS connection to get connected into internet at the same time. It is most preferable in the current world than others. In a GSM based cell phone systems, there have always idle radio capacity that make Internet activity. This is the major capacity of a network connection provider that is not being used. . GPRS generally uses this idle radio capacity to create a data network to be used for data transmission. Actually It usually works with the electronic way to be launched. Thank you very much for reading my post. Oh, yes, don’t forget to share this post to your friends on facebook, twitter and google plus. Reset Code: What is GPRS?